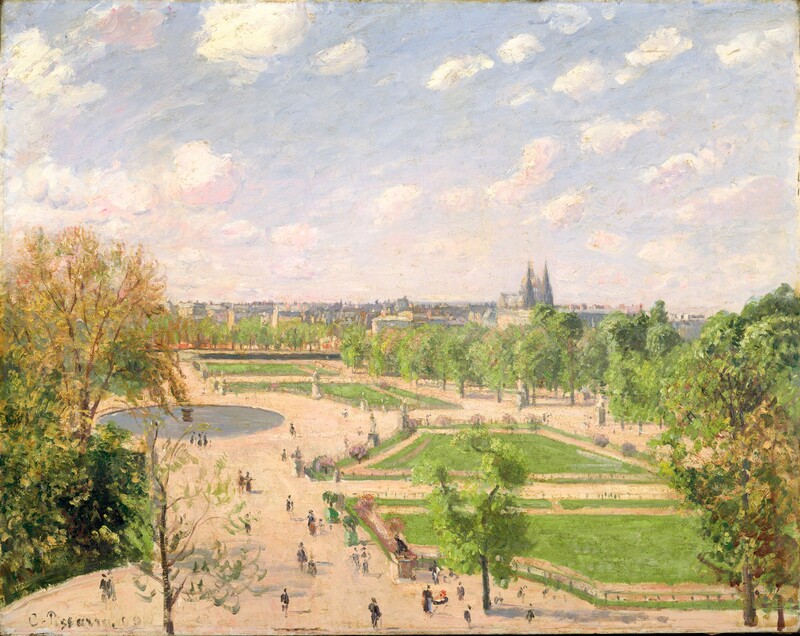 Camile Pissaro – The Metropolitan Museum of Art 1992.103.3. 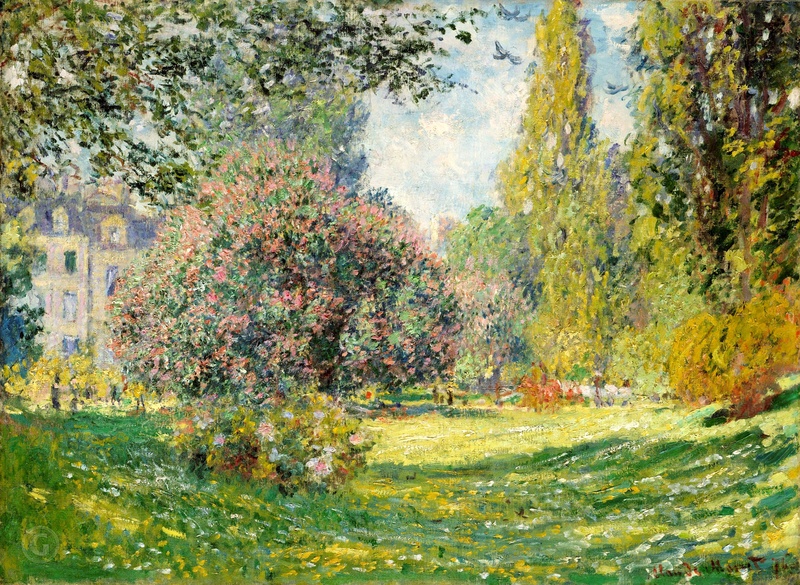 Title: The Garden of the Tuileries on a Spring Morning. Date: 1899. Materials: oil on canvas. Dimensions: 73.3 x 92.1 cm. Inscriptions: C. Pissarro. 99 (lower left). Nr. : 1992.103.3. Source: https://da.wikipedia.org/wiki/Fil:WLA_metmuseum_Camille_Pissarro_French.jpg. I have changed the light and contrast of the original photo. 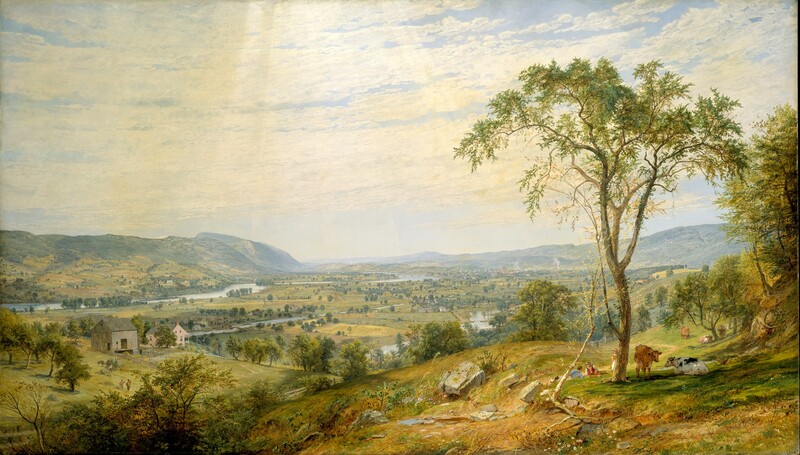 Jasper Francis Cropsey – The Metropolitan Museum of Art 66.113. Title: The Valley of Wyoming. Date: 1865. Materials: oil on canvas. Dimensions: 123.2 x 213.4 cm.Nr. : 66.113. Source: https://upload.wikimedia.org/wikipedia/commons/0/0a/The_Valley_of_Wyoming_MET_DT4598.jpg. I have changed the light and contrast of the original photo. Claude Monet – The Metropolitan Museum of Art 59.206. Title: The Parc Monceau. Date: 1876. Materials: oil on canvas. Dimensions: 59.7 x 82.6 cm. Nr. : 59.206. Source: https://en.gallerix.ru/fullpic/b6e72d4fb285f781d4619dd22abdb349/. I have changed the light and contrast of the original photo. 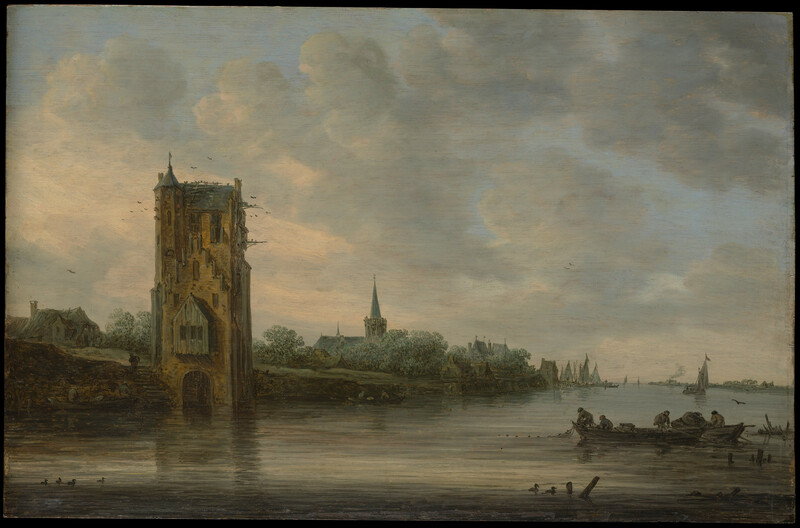 Simon de Vlieger – The Metropolitan Museum of Art 06.1200. 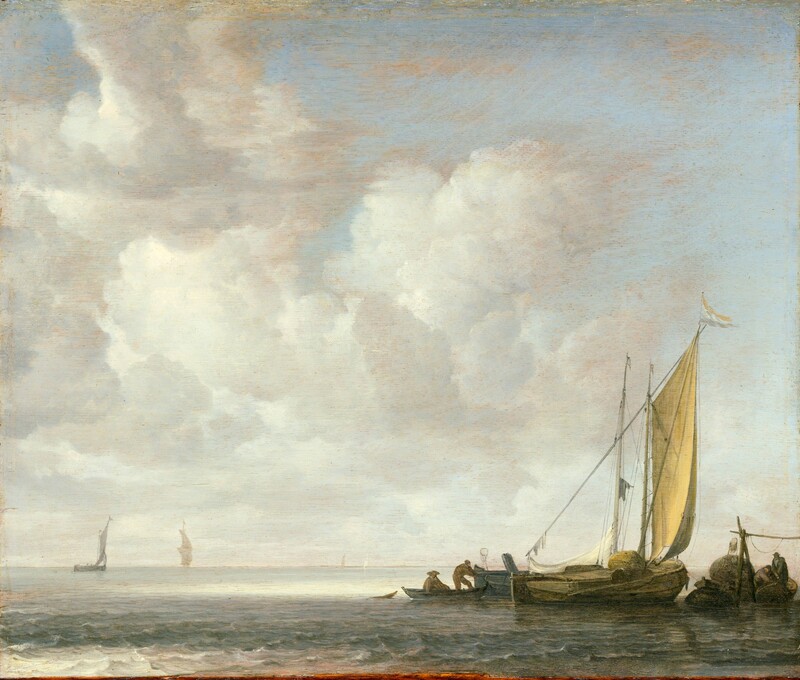 Title: Calm Sea. Date: c. 1640s. Materials: oil on wood. Dimensions: 37.5 x 55.4 cm. Nr. : 06.1200. Source: http://images.metmuseum.org/CRDImages/ep/original/DP147592.jpg. I have changed the light and contrast of the original photo. Claude Monet – The Metropolitan Museum of Art 59.142. 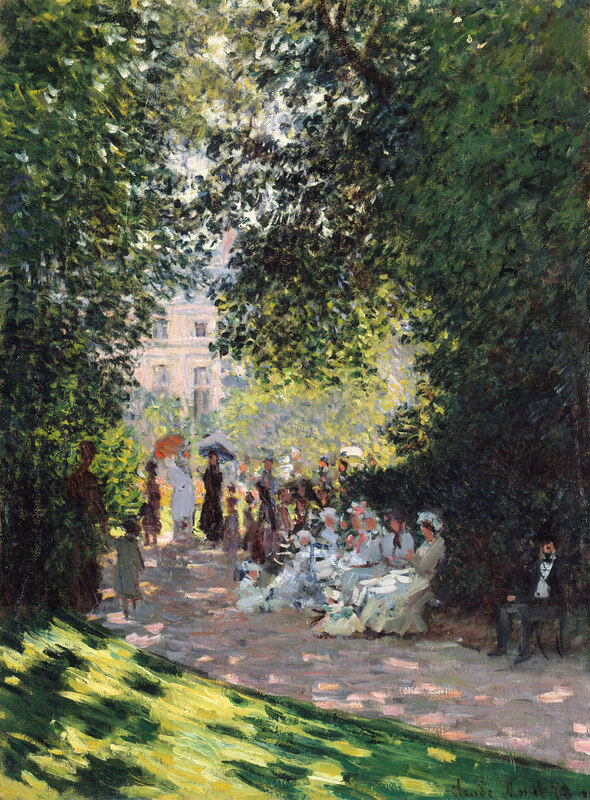 Title: The Parc Monceau. Date: 1878. Materials: oil on canvas. Dimensions: 72.7 x 54.3 cm. Nr. : 59.142. Source: http://www.metmuseum.org/toah/works-of-art/59.142/. 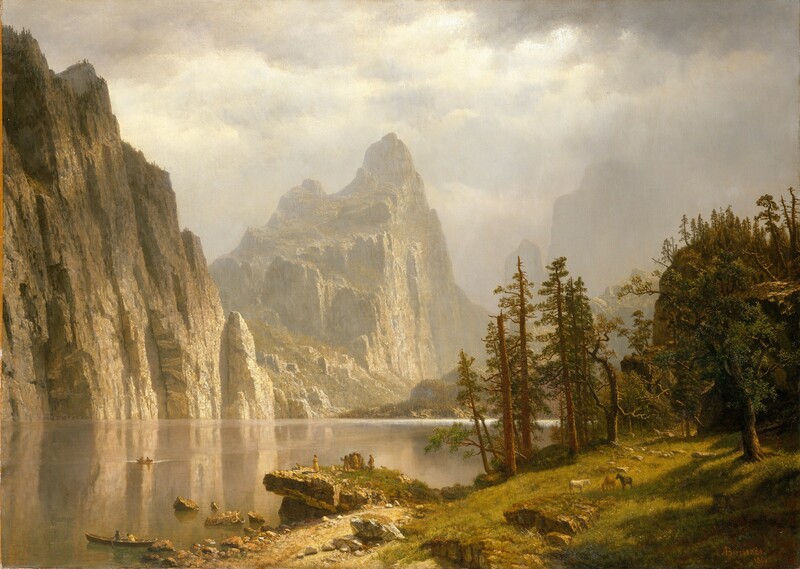 Albert Bierstadt – The Metropolitan Museum of Art 09.214.1. Title: Merced River, Yosemite Valley. Date: 1866. Materials: oil on canvas. Dimensions: 91.4 x 127 cm. Nr. : 09.214.1. Source: http://www.metmuseum.org/art/collection/search/10150. 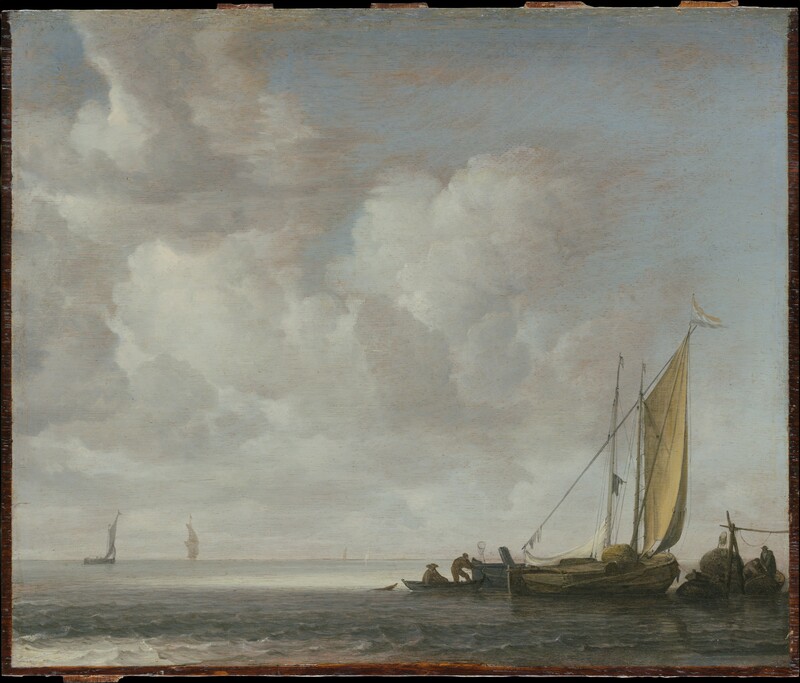 Jan van Goyen – The Metropolitan Museum of Art 71.62. 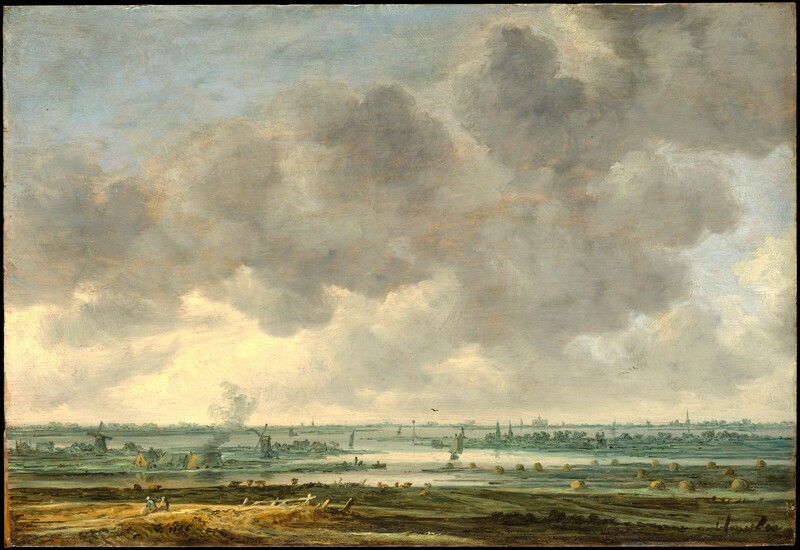 Title: View of Haarlem and the Haarlemmer Meer. 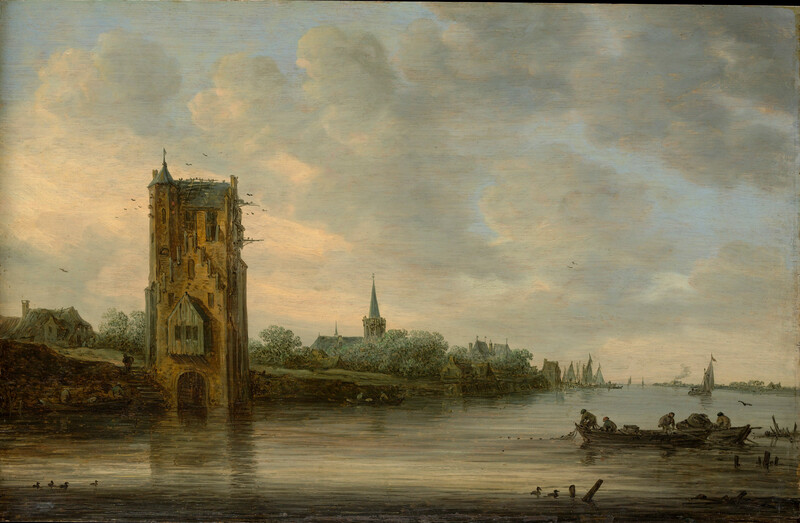 Date: 1646. Materials: oil on wood. Dimensions: 34.6 x 50.5 cm. Nr. : 71.62. Source: http://images.metmuseum.org/CRDImages/ep/original/DP146495.jpg. I have changed the light of the original photo. William Trost Richards – The Metropolitan Museum of Art 80.1.6. Title: Lake Squam from Red Hill. Date: 1874. Materials: Watercolor, gouache, and graphite on light gray-green wove paper. Dimensions: 22.5 x 34.4 cm. Inscriptions: Wm (m underscored) T. Richards. 1874 (lower right). Nr. : 80.1.6. Source: http://www.metmuseum.org/art/collection/search/11897. I have changed the contrast of the original photo. 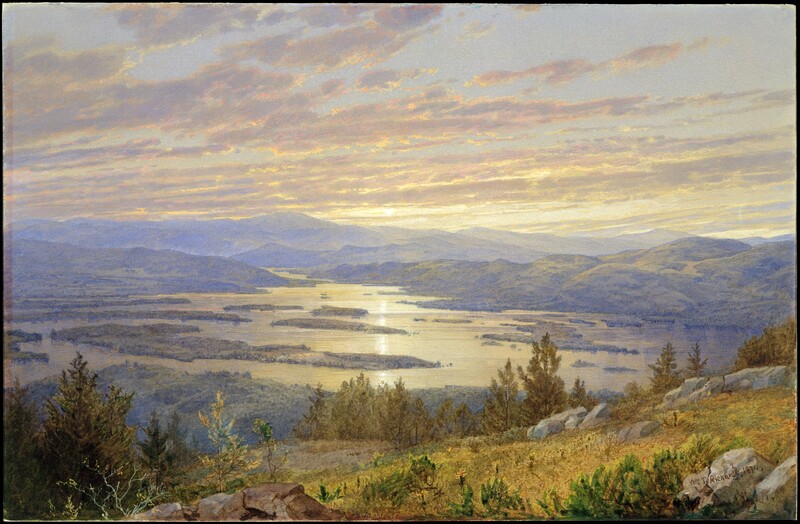 William Trost Richards – Metropolitan Museum of Art 80.1.2. 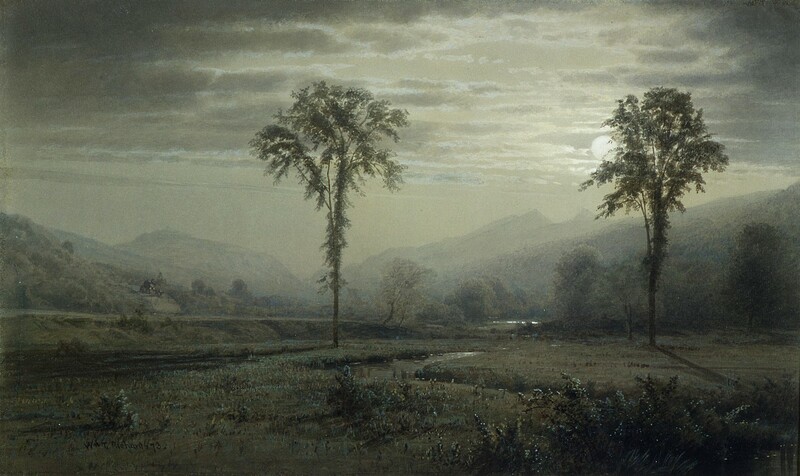 Title: Moonlight on Mount Lafayette, New Hampshire. Date: 1873. Materials: Watercolor, gouache, and graphite on gray-green wove paper. Dimensions: 21.6 x 36 cm. Nr. : 80.1.2. Source: http://www.metmuseum.org/art/collection/search/11900. I have changed the light of the original photo.